Posted April 26, 2017 by The Rapid & filed under Places to Go. Don’t miss a chance to enjoy the beautiful spring weather! Ride Routes 12 and 50 to get to the John Ball Zoo and explore new exhibits and shows. 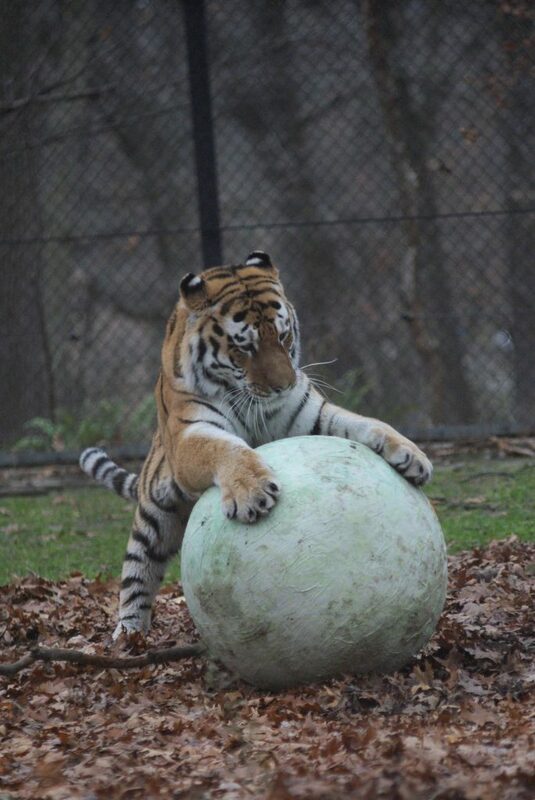 The John Ball Zoo opened in March for its 126th season. This year, visitors will be able to see the zoo’s more than 1,500 animals including tigers, chimpanzees, bobcats, grizzly bears and penguins. And thanks to the recently approved zoo and museum millage, new features are coming to life! Beginning on Memorial Day, John Ball Zoo will launch their new bird show called Realm of Flight. There will be three shows a day with professional handlers showing off 10 exotic birds from around the world. Some other new additions include a beautiful tiger habitat that features two different exhibits connected by a trail through the woods. There are also a continuously changing variety of classes, events and programs for children to participate in. Before Memorial Day, get in for a reduced price due to the season. Non-member adults can get in for just $7 and children for $6. Since the weather is cooler during spring months, the animals are more active and there are also fewer visitors to compete with for the perfect view of your favorite animals. Spring hours are from 10 a.m. – 4 p.m. every day. Zoo memberships start at $80. With a membership, members get free admission and discounts at the gift shop and on food. Members can also get discounted admission at 150 other zoos across the country. Thanks to Fox 17 Morning Mix from allowing us to bring you awesome deals every week!